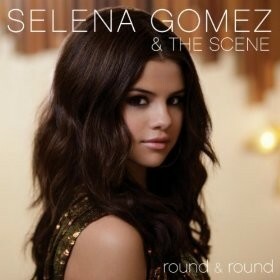 “Round & Round” is a song by American band Selena Gomez & the Scene. The song was written and produced by Kevin Rudolf, Andrew Bolooki, and Jeff Halavacs, and co-written by Jacob Kasher and Fefe Dobson. It was released on June 22, 2010 as the lead single from the band’s sophomore album, A Year Without Rain. “Round & Round” is an electronica-based dance-pop song with rock and disco beats. Initial reception to the song has been positive, with critics taking note of the song’s instant attraction beyond the expected demographic. It has peaked at twenty-four on the Billboard Hot 100, becoming the band’s highest charting single in the United States. They have performed the song on America’s Got Talent. An official remix of the song, featuring American recording artist Jason Derülo, is pending release.